Skin Medica’s Line of Products are based on years of scientific research and the skin’s own healing ability. All Skin Medica products are formulated with anti-aging and protective ingredients such as vitamins, antioxidants, and sunscreen. Great news! Now you can earn and redeem points for savings on any SkinMedica® product you purchase at our office. That’s in addition to the products and treatments you already save on in the Brilliant Distinctions® program. 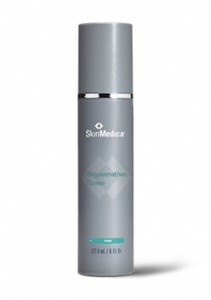 SkinMedica® products are based on the science of skin rejuvenation. The impact is clear—the appearance of fine lines, age spots, and discoloration is reduced. All results of our commitment to creating a lifelong skin care solution for healthier looking skin. 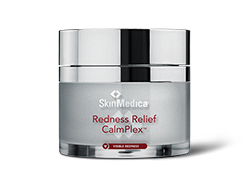 Redness Relief Calm Plex is a breakthrough in the treatment of visible redness, it is clinically proven to reduce visible redness, restore skin’s barrier and keep skin looking healthy and radiant. Skin Medica Facial Cleanser is a soap-free foaming cleanser that removes makeup, dirt, and oil while hydrating the skin. This non-drying gentle cleanser is recommended for all skin types. Skin Medica Sensitive Skin Facial Cleanser is reinforced with botanical extracts including chamomile and cucumber to sooth sensitive or inflamed skin. 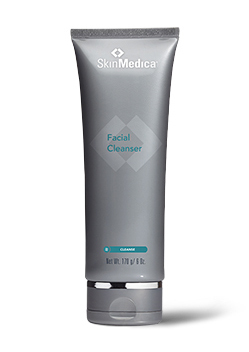 This cleanser is recommended for sensitive skin or post-procedure treatment. Rejuvenate Toner removes excess oil and impurities without overdrying the skin. Enhanced with alpha-hydroxy acids, this toner reduces the appearance of fine lines and wrinkles. TNS Ultimate Daily Moisturizer + SPF 20 is fortified with natural free radicals and full spectrum UVA and UVB protection, giving you total daily protection from the sun and environmental agents. TNS Recovery Complex® is a unique anti-aging product containing NouriCel-MD®, a combination of antioxidants and other elements found naturally in the skin. This product helps reduce the appearance of fine lines and wrinkles, age spots, roughness, and dyspigmentation while improving skin texture and elasticity. Ceratopic® Replenshing Cream is a non-greasy, intensive moisturizer used to treat dry, cracked areas like the feet, elbows, and hands. 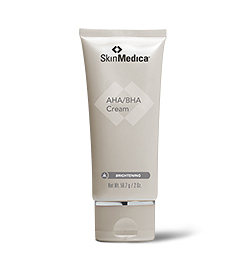 With ceramide and other lipids, this moisturizer will restore hydration in the skin and relieve irritation. 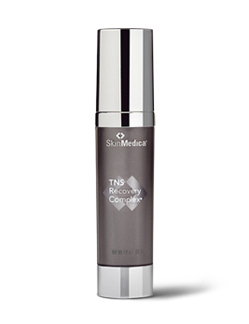 Like the Recovery Complex, TNS Illuminating Eye Cream® contains Nouricel MD® to reduce the appearance of fine lines, wrinkles, puffiness, and discoloration around the eyes. 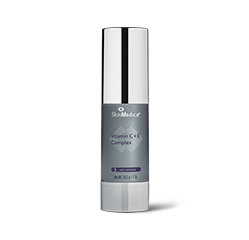 Vitamin C+E Complex contains antioxidants Vitamin C and E for a natural skin defense system. This slow-release product improves skin tone and firmness and is clinically proven to build collagen. Uplifting Eye Serum contains an oil-free blend of plant extracts and antioxidants to reduce fine lines, wrinkles, dark circles, puffiness, and fine lines. Retinol Complex penetrates the skin to deliver three types of Vitamin A, increasing cell turnover and reducing the appearance of aging skin. This product can be used on normal, dry, oily, combination, aging and sensitive skin. 15% AHA/BHA Cream contains a 15% combination of alpha and beta hydroxy acids with other antioxidants to exfoliate, improve, and protect skin. Dermal Repair Cream is an intensive moisturizer with antioxidants and hyaluronic acid. This cream protects against environmental elements and helps to reduce signs of aging such as age spots. 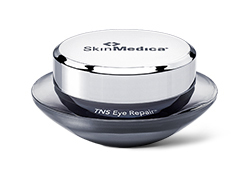 TNS Night Eye Repair™ contains a revitalizing combination of NouriCel-MD, peptides, high concentrations of vitamins A, C, and E, and hyaluronic acid. Used in the evening, this potent eye cream improves, hydrates, and strenthens the skin around the eyes and can be used for normal, dry, oily, combination, aging, and sensitive skin. 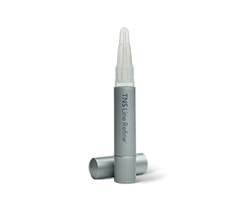 Fortified with NouriCel-MD® and peptides, TNS Line Refine™ is applied directly onto fine lines to fill and reduce their appearance around the eyes, and mouth. 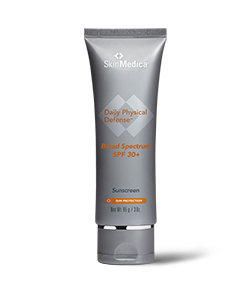 Environmental Defense Sunscreen™ SPF 30+ provides UV and antioxidant protection to the skin. It is recommended as a daily use sunscreen, or to protect the skin while healing after a procedure. Ablative Post-Procedure Kit is a clinically proven combination of products used to help heel the skin and improve results after laser resurfacing procedures or chemical peels.